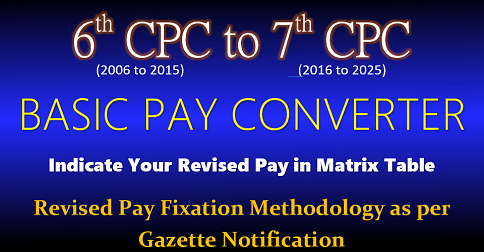 Pay commissions up-to 5th CPC adopted a multiplication factor of 3.2 to 3.8 to arrive at the new scales compared to earlier scales but VI CPC adopted conversion factor of 1.86 to arrive at the minimum of lowest pay Band, where as it adopted 3.37 for arriving at the highest scale. This shredded the very basic fiber of the Constitution of Indian Socialistic State by raising the ratio between minimum & maximum of Salary/Pension to 1: 12.85. Which is, not only much more higher than the capitalist countries like America & Britain But is also higher than the countries like Philippines which have weaker economy than India. This negative and socially regressive effect of the 6th Central Pay Commission has had the effect of worsening wealth and income inequality not only between pre-and post-2006 retirees, but even within pre-2006 retirees wherein higher-ups got full parity in Pension. 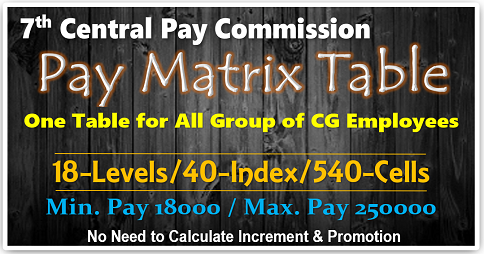 While we agree that to retain talent in civil services, higher pay package is needed at bureaucratic level. The need to maintain honorable ratio between minimum & maximum salary in a Socialistic State is constitutional requirement. 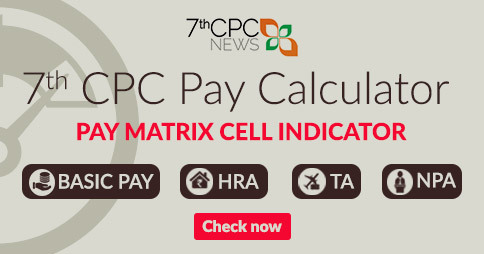 We therefore, appeal to 7th CPC: That the ratio between maximum & minimum Salary/Pension be brought down to 9:1. 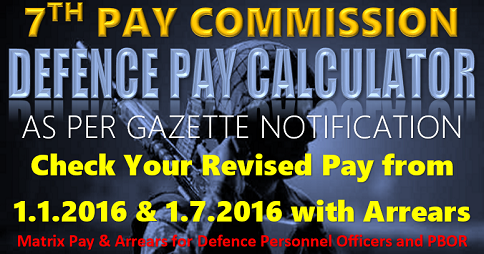 Accordingly, 7 th pay commission should first workout the top most revised salary, divide it by 9 to arrive at the minimum revised salary & derive a uniform multiplication factor by dividing revised minimum Salary by pre-revised minimum salary for revising Pay & Pension with the condition that Pension shall not in any case be less than 65% & family Pension 45% of the last Pay in Pay in Pay Band/Pay scale or of average of last 10 months emoluments (Whichever is more beneficial) as was worked out & recommended by TECS (Tata Economic Consultancy Services) consultant to Vth CPC. 4.. Pension to be net of Income Tax (Para 167.11(VTH CPC REPORT VOL. III) : The purchase value of pension gets reduced day by day due to continuously high inflation and steep rise in cost of food items and medical facilities. Retired persons/Senior citizens do not enjoy fully public goods and services provided by Government for citizens due to lack of mobility and many other factors. Their ability to pay tax gets reduced from year to year after retirement due to ever-increasing expenditure on food and medicines and other incidentals. Their net worth at year end gets reduced considerably as compared to the beginning of the year. Inflation, for a pensioner is much more than any tax. It erodes the major part of the already inadequate pension. To enable pensioners, at the far end of their lives, to live in minimum comfort and to cater for ever rising cost of living, they may be spared from paying Income Tax. 5. 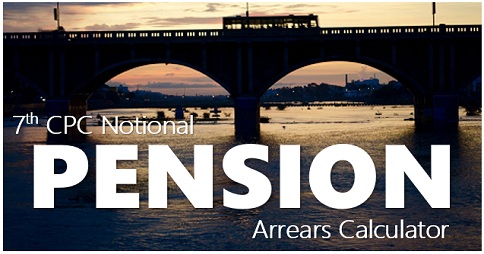 Automatic Merger of Dearness relief with Pension :The Pension of Central Government Pensioners undergo revision only once in 10 years during which period the pension structure gets seriously dis-aligned; 50% increase in price takes place even in less than 5 years. This results in considerable erosion of the financial position of the pensioner with otherwise inadequate Pension. As admitted by Shri Montek Singh Ahluwalia, Deputy Chairman, Planning Commission, in his statement to PTI on 27.2.2008, DA does not adequately take care of inflation. Working employees are getting automatic relief by way of 25% increase in their allowances with every 50% rise in Dearness Allowance. As pensioners do not get any allowances, they feel discriminated against. In order to strike a balance, DR may be merged with Pension whenever it goes beyond 50% as recommended by 5th Central Pay Commission. 6. Restoration of commuted vale of Pension in 12 years Commutation value in respect of employee superannuating at the age of 60 years between 1.1.1996 and 31.12.2005 and commuting a portion of pension within a period of one year would be equal to 9.81 years Purchase. After adding thereto a further period of two years for recovery of interest, in terms of observation of Supreme Court in their judgment in writ petitions No 395-61 of 1983 decided in December 1986, it would be reasonable to restore commuted portion of pension in 12 years instead of present 15 years. In case of persons superannuating at the age of 60 years after 31.12.2005 and seeking commutation within a year, numbers of purchase years have been further reduced to 8.194. Also, the mortality rate of 60 plus Indians has considerably reduced ever since Supreme Court judgment in 1986; the life expectancy stands at 69 years now. 9. Hospital Regulatory Authority:To ensure that the hospitals do not avoid providing reasonable care to smart card holders and other poor citizens, a Hospital Regulatory Authority should be created to bring all NABH-accredited hospitals and NABL-accredited diagnostic Labs under its constant monitoring of quality, rates for different procedures & timely bill payments by Govt. agencies and Insurance companies. CGHS rates be revised keeping in mind the workability and market conditions. 10.Fixed Medical allowance (FMA): As is recorded in Para 5 of the minutes of Committee of Secretaries (COS) held on 15.04.2010 (Reference Cabinet Secretariat, Rashtrapati Bhavan No 502/2/3/2010-C.A.V Doc No. CD (C.A.V) 42/2010 Minutes of COS meeting dated 15.4.2010) which discussed enhancement of FMA: CGHS card estimates for serving Personnel since estimates are not available separately for pensioners M/O Health & Family Welfare had assessed the total cost per card p.a. in 2007-2008 = Rs 16435 i.e. Rs.1369 per month for OPD. Adding to its inflation the figure today is well over Rs 2000/- PM. Ministry of Labour & Employment, Govt. of India vide its letter no. G-25012/2/2011-SSI dated 07.06.2013 has already enhanced FMA to Rs 2000/- PM for EPFO beneficiaries. Thus, to help elderly pensioners to look after their health, Adequate raise in FMA will encourage a good number of pensioners to opt out of OPD facility which will reduce overcrowding in hospitals. OPD through Insurance will cost much more to the Govt. As such the proposal for raising Fixed Medical allowance to Pensioners is fully justified and is financially viable. 11.Grievance redressal Mechanism: Pensioners/Family Pensioners are exploited, harassed and humiliated by their own counterparts in chair, who at the sight of an old person adopt a wooden face and indifferent attitude. Pensioners do not have representation even in Forums & Committees wherein pension policies and connected matters are discussed. The forum of Pension Adalat too is not of much avail as it meets only once a year which is too long a period for an elderly nearer to his end. Moreover, these Adalats deal with settlement claims only. SCOVA too meets only twice a year for about 3 hours at occasion. Moreover, the scope of SCOVA is limited to feedback on Government policies. 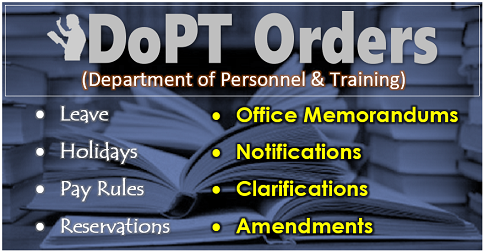 DOP (P&PW) is perceived as a toothless authority which lacks direct Service Delivery Capability. It has been striving over the years to redress the Pensioners’ grievances through the ‘Sevottam’ model of the Department of Administrative Reforms & Public grievances; in the absence of strict timeline with punitive clause it is, however, proving to be a failure. Grievances are either not resolved for years or closed arbitrarily without resolving. Discussing, debating and deciding the matters / Policies relating to Pensioners, with representatives other than those of pensioners, is unfair & against the Rules of ‘Natural Justice’. At present various Committees like National Anomaly Committee (NAC) and JCM (on Pensioner matters), are there wherein matters / policies relating to pensioners’ welfare are discussed and decided, but they do not have pensioners’ representatives with the result their viewpoints, hardships & anomalies are not properly represented. As pensioners are a homogenous class, there is an urgent need to constitute separate Committees for pensioners wherein matters / policies / anomalies relating to pensioners of all Groups, categories &departments may be discussed. 13. that Govt. should not indirectly pressurize courts by appealing again & again to get judgments reversed in its favor & must implement all court judgments in case of all similarly placed persons. 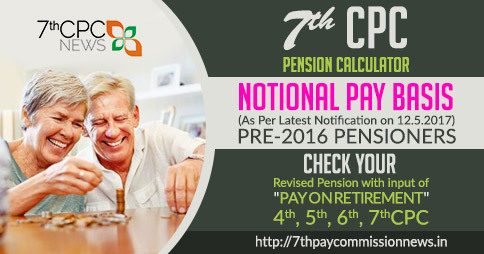 14. that benefits of different Spl allowance such as NPA for Doctors/ Spl Pay for scientists for some achievements – or to compensate for lack of promotional posts- or grant of additional increments- or RUNNING ALLOWANCE for Railway Pensioners etc……NPA & Running allowance (in case of Railways ) be continued for revision of Pension of past pensioners. These are common main demands for inclusion in memorandum to 7th CPC (still open to expansion & addition) to which department wise demands are being compiled in consultation with stake holders &will be attached as annexure to the main memorandum.